Have you wondered why is e-commerce lately topping all the records? We haven’t. Where else people can buy everything they need without taking the best part of their bodies off the sofa/chair/bed? No lines, no crowds, no annoying selling assistants. Price is often smaller, time spent is almost always shorter and service is always, without exception, impeccable. In a few words it is unbelievably convenient. However, only shoppers enjoy all these comforts and store owners are forced to walk in a very different shoes. Imagine yourself visiting usual brick-and-mortar shop as a shopper. An assistant or a manager would invite you in and convince you to look around and browse the products. The decor, the display of goods and the whole presentation concept would be focused around making you impressed and putting you in the mood to buy. He would most probably describe to you the best features of the products and point out at the several promotion and discounts. You would be treated to a comparison of the needed product to the suitable alternatives and an explanation of why this store is so much better than the one next door. All this will be done in minutes, which might seem a pretty short time. But homepage of your store must do all same things in seconds. And it CAN do it, providing you ‘hire’ a right sales manager or, in other words, install a suitable theme. Read below to get acquainted with the themes we consider the best for the upcoming year. Elegant, versatile and mobile-friendly theme which will enable you to create and customize the store completely according to your vision. Star is malleable enough to accommodate almost any change you can think of thanks to the amazing range of tools and effects which are all intuitive. 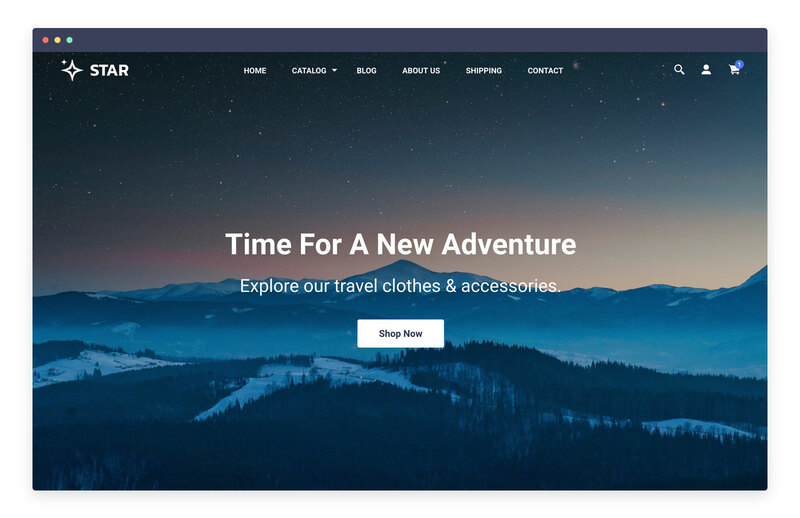 This gorgeous theme, designed to help you increase your sales, with stylish contemporary design makes it the ideal theme to showcase your products to their best advantages and increase conversion. Support of social networks, announcement bar, choice of styles (minimalistic and scenic), optimization of large images and much much more makes Star the perfect pick for both budding entrepreneurs, seasoned e-merchants and anybody in-between. 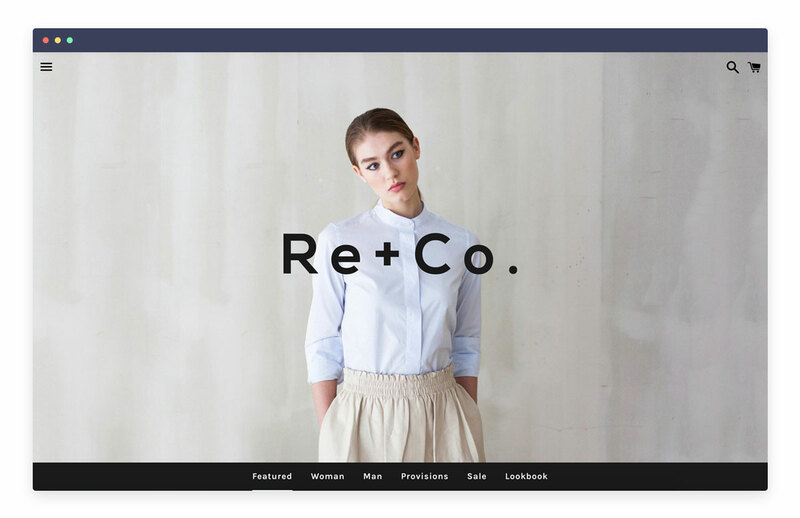 Star is a multi-purpose responsive theme suitable for any type of online store, from mum-to-be emporium to a commercial heaven for glam accessories addicts. Debut is an elegant and chic theme which looks very upscale and offers a minimalistic, easy on the eye design. The name of the theme rings true, since it’s a great start for stores that can be called debutants in electronic commerce. Overall design is simple, but it’s that kind of simplicity that can come only from professionals. It offers two styles, Default and Light, which both offer a sophisticated and effective way to showcase your products. The Default is rather dramatic and pops out more, which immediately captures shoppers’ attention. The Light style provides a more laconic and less distracting look which can be used to flatter products more. Theme includes a traditional slideshow, which is available on the homepage, that can be used for displaying one product in a promo campaign or all of them. It comes with a support of a video with which you can display your best products or make a video-presentation of some newcomers to your shelves. Product filtering feature and customer reviews also testify to the exceptional qualities of Debut theme. Why the name? Because in many ways creating a store is similar to a storytelling, and Narrative will tell to your shoppers a most enchanting story. And for you creating and fine-tuning the shop will be also almost a fairy tale of saving much of time and resources. 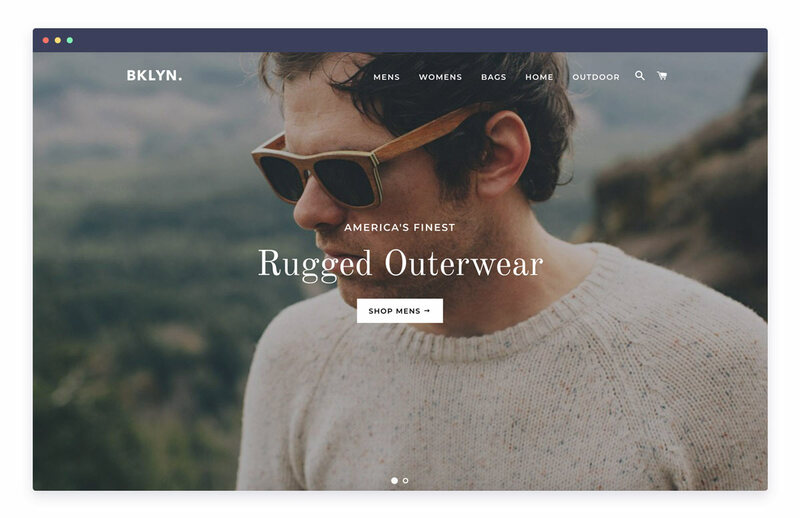 Customizable image blocks, quote slides, and more will enable you to completely customize your store according to your taste and your store’s style. This free theme comes with three styles with different colors and is perfect for a small to medium sized company which plans on having a modest catalogue of products. Also a wonderful solution for inventors since it allows to present just a couple of products without making the offer look skimpy. The fixed navigation offers a very convenient browsing for users which is enhanced with a vertical slideshow, where you can display amazing offer, post a message or just present an appealing image of the best feature of the product. Jumpstart theme was specifically designed for launching crowdfunding campaigns. Which means it mainly targets small companies who offer for sale one product. It supports all the expected crowdfunding features, including posting the needed amount and the progress that you’ve made so far. This goal-tracking tool enables you to see and check every tiny step that you’re making to the completion of your campaign. Video on a homepage is a must, when you’re trying to raise money and Jumpstart knows it. Every crowdfunding expert recommends making and posting creative video, which will explain what you’re trying to do, engage your visitors and raise empathic involvement. In Jumpstart you’ll also get some very useful modules for sharing promotions and displaying FAQs, raising awareness and eliminating the inevitable questions. The best feature is ‘As Seen On’ section, where you can tell about the completed promotions of your products and showcase the media coverage (if you have any). Slideshow, social media buttons, responsiveness, color palettes, the Jumpstart theme has everything you need to launch most successful crowdfunding campaign ever. Brooklyn theme is a perfect example of how great the minimalism can be, if applied expertly. Gorgeous backgrounds and very easy on the eye interface feature all the necessary elements without creating clutter, which always improves user experience. It’s another multi-style theme, with Classic layout ideally suited to be used in any clothing shop, and Playful layout more in tune with bright and fun flow of spirits which would look appropriate for a patisserie or toy store. 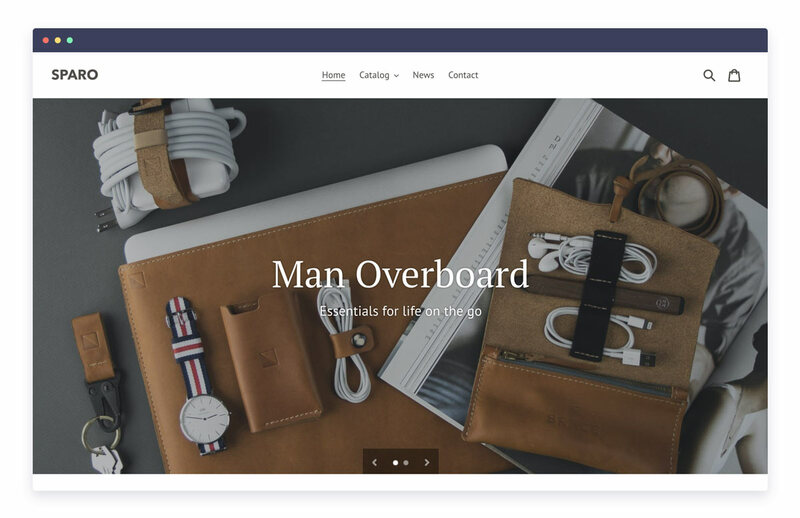 Use the header slideshow at the top of your homepage to display your best or favorite products and a dynamic product grid for a dazzling display of your bestselling items. A slide-out cart makes the shopping a comfortable process for shoppers and profitable for you, reducing the abandoned cart occurrences and increasing conversions. Brooklyn also includes a homepage video, which starts playing on a visitor arrival, which you can use to make a ‘live’ greeting, demonstration of a new product or a nice accompaniment for a promo campaign. Sidebar menu, header, slide show, collections… Yes, it is minimalistic, but it has everything you need. And it’s mobile-friendly too. Do you think that a photography-first approach would work well for your store? If yes, Boundless theme may be your next best friend. 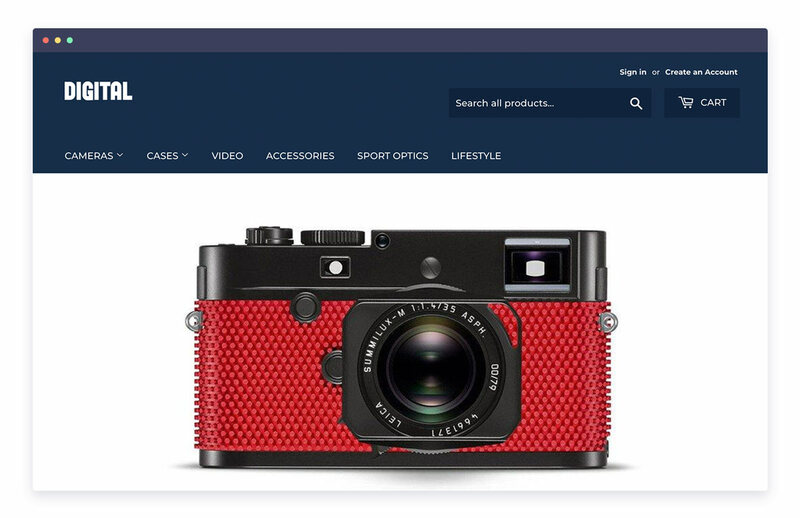 This theme is yet another good example of minimalism, and puts a lot of emphasis on using edge-to-edge photography, so it’s a good choice for someone selling products like jewelry and accessories. In other words, for those kind of items which require HD imagery to showcase their finest characteristics. It’s mobile-first and free, which makes it suitable for anyone, but most of the features would benefit medium and large companies with extensive catalogs. Header reserves additional space for your logo or slogan, so you can use it to make it a work of art (just like your merchandise). Support of HiDPI for all galleries means that every product will look good even on the widest screens, won’t tire the eye and will boast the quality usually reserved for wallpaper grade of images. Fixed top navigation panel will keep links on screen and would please owners of smartphones, who wouldn’t have to scroll pages when browsing. Both styles, ‘Black & White’ and ‘Vibrant’, offer everything you need to let product photographs to speak for themselves. 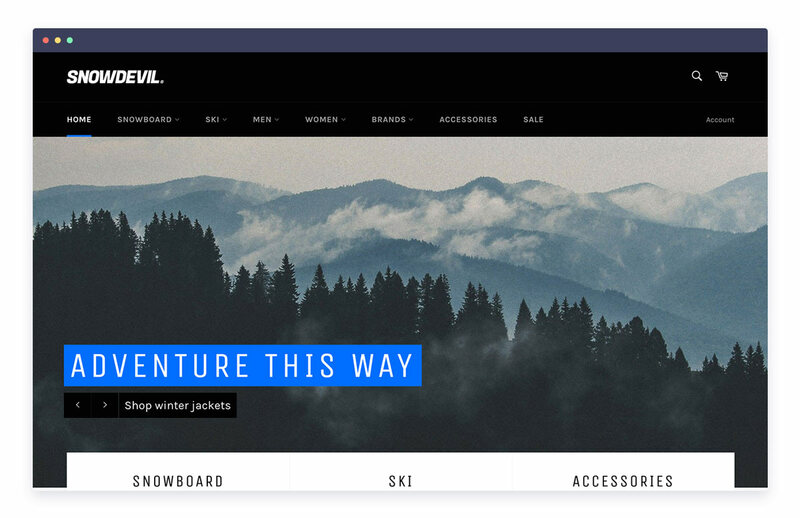 If you sell products for people who love outdoorsing, sports and adventures, Venture theme is your answer to all your questions, wishes and requirements. It even has a style just for boxing products! It includes a dynamic menu, staying in its proper place even when you scroll up or down, which makes for a very convenient browsing. The products are displayed in a vibrant energetic style that captures the attention the second visitor lands on your page, and makes him think about holidays, outdoor fun and wild nature. Venture offers three styles, blue-colored one that makes sense for retailing everything winter- and water-related, ‘Outdoors’ with a ‘salt of the earth’ look, that stores selling camping products would appreciate, and very macho ‘Boxing’ theme would be great for selling goods related to boxing, martial arts, MMA, etc. 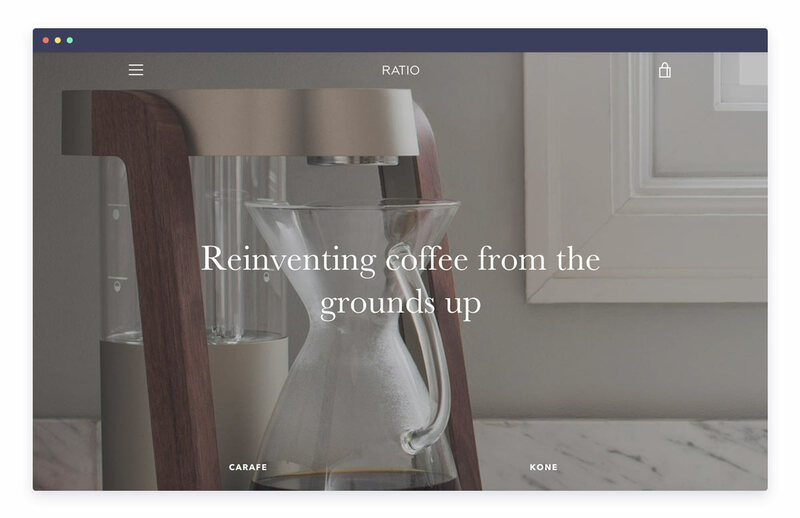 Dynamic slideshow, product filtering, promotional banner, footer and other features confirm that this theme deserves its place in our hall of fame for 2019. 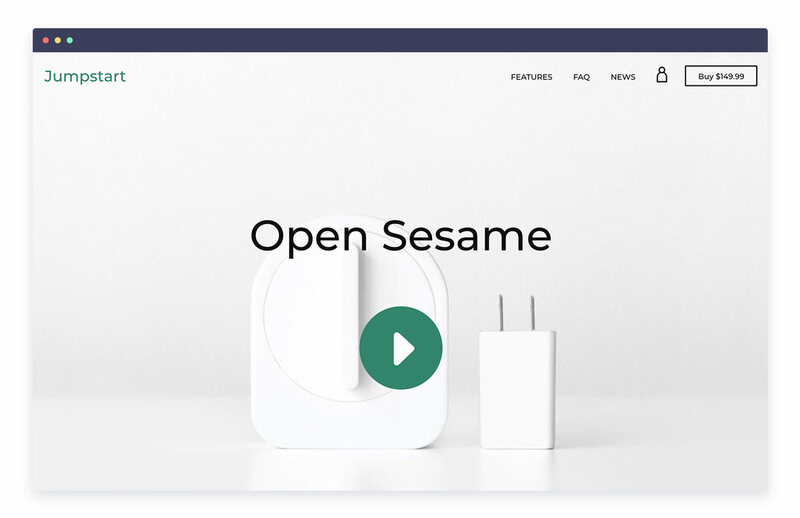 Supply theme was designed for more extensive product catalogs, so owners of medium and large companies would enjoy and make the most of all the innovative features that simplify and streamline product browsing and therefore improve UX. Both layouts, ‘Blue’ and ‘Light’, look good and provide great visuals which you can play up or down to put more emphasis on products or efficiency. A highly flexible menu system, support of smart product collection filtering, and full customization offers a lot of ways for you to optimize the searching which is always a problem when one sells a lot of items. It’s very admin-friendly and lets you configure anything on your pages, from colors and typography to cart and social sharing. Just one example of how much you’re in control: you can place shopping cart in a box, make it scroll down from the top or guide the customer to a separate page. Supply also has a layout switcher which you use to set up the view of the products either as a grid or as a list and additional filtering options via tag list. You can not only select what social sharing button would appear on your page but even the style for that button which improves UX tremendously (people would recognize familiar icons instantly). We can go on, but it’d be enough to say that Supply’s settings make tweaking the theme easy even for someone with no development skills whatsoever. 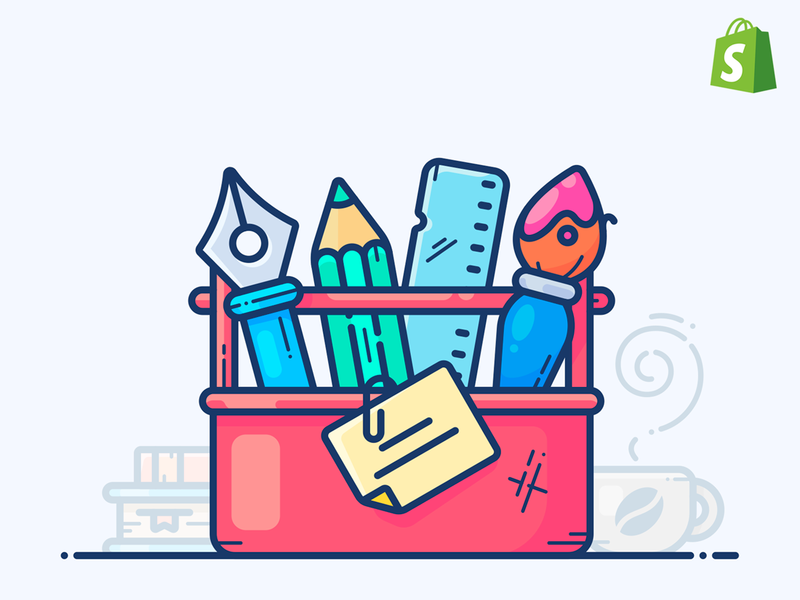 We are very happy to present this list for you, since here we introduce eight modern, lightweight and responsive themes which do not cost anything. Perfect solution for forgetting about the risks and trying your hand at this or that approach to presenting your products and interacting with your clients. Even the simplest theme here can lend a professional look to your online store. Each theme has a lot of potential, both functionally and aesthetically, to let you hold your own when compared against almost any other popular e-store. Here you don’t run the risk of creating a store that looks like everyone else’s, since all the themes are customizable enough to gain a fully unique look with just a little work. And so it happens, that all eight themes would work well for both digital and physical products due thanks to straightforward and minimalistic design. Grab your visitors’ attention right off the bat and start making $$$ today!